Swimming, swimming in the ocean blue! 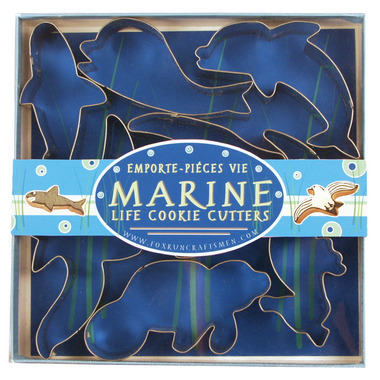 ​Make cute, delicious cookies with these fun cookie cutters from Fox Run. I love these cookie cutters, I use a sugar cookie dough recipe and then use all the different shapes for the cookies and my daughter love to decorate them.